Stunning one-of-a-kind Avoca dress in excellent condition and it’s the perfect first solo dress. 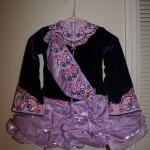 Beautiful rich purple velvet bodice with light purple skirt, accented with pink and white embroidery. 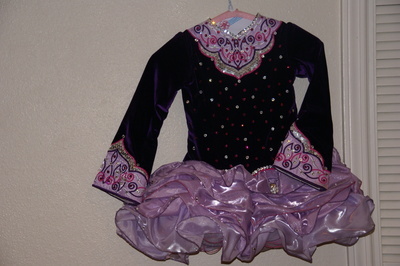 Swarovski crystals throughout the bodice and sleeves; scattered on the skirt as well. 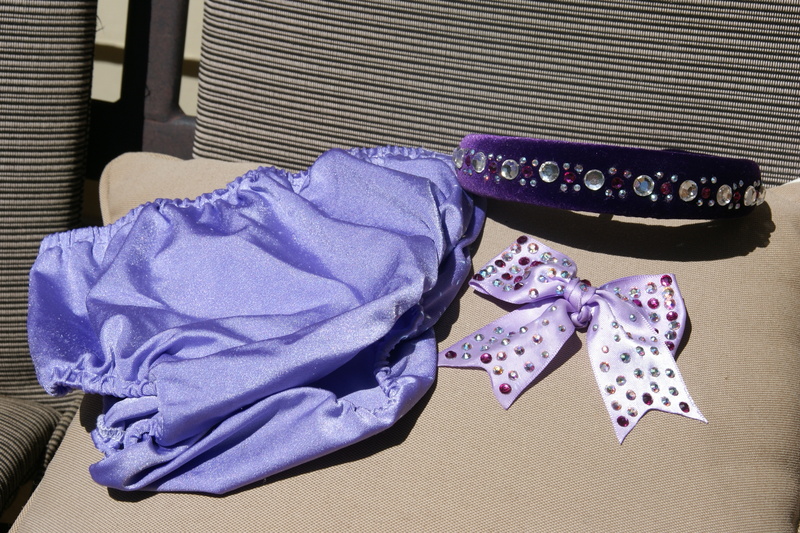 Comes with matching dark purple headband covered in rose and clear crystals, light purple bloomers and darling detailed bow for the hair. Only one owner and no odor, no stains. 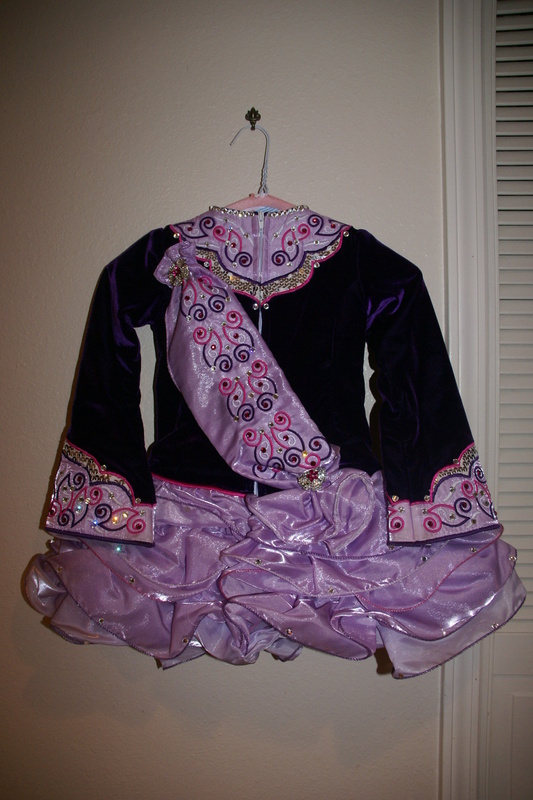 One tier added to the skirt. 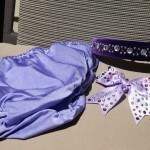 Dress can easily be taken in and up. Asking Price: $US600. Shipping costs are included for my own country, overseas shipping is extra.